I’m not sure if I’m the first one to call it that, but I’m not the first talk about it. The autumn slump refers to the downturn in TV quality we tend to see between September and December. In the past few years, the autumn slump has brought us a Big Show/Randy Orton program for the WWE Championship, Sheamus winning the WWE Championship at a time when his career was lukewarm at best, and what may have been the 100th John Cena/Randy Orton feud. And so once again, WWE must try to avoid the autumn slump, and persevere through competition from Monday Night Football. Roman Reigns, Mick Foley, and Stephanie McMahon open the show. Coming off the finals of the Cruiserweight Classic tournament last week, I was hoping they’d open with the cruiserweights. Instead, we got yet another long-winded talking segment. A fairly cold start to things, which led to a cold match between Seth Rollins and Rusev. Even Kevin Owens, who’s usually very natural, came off highly scripted here. 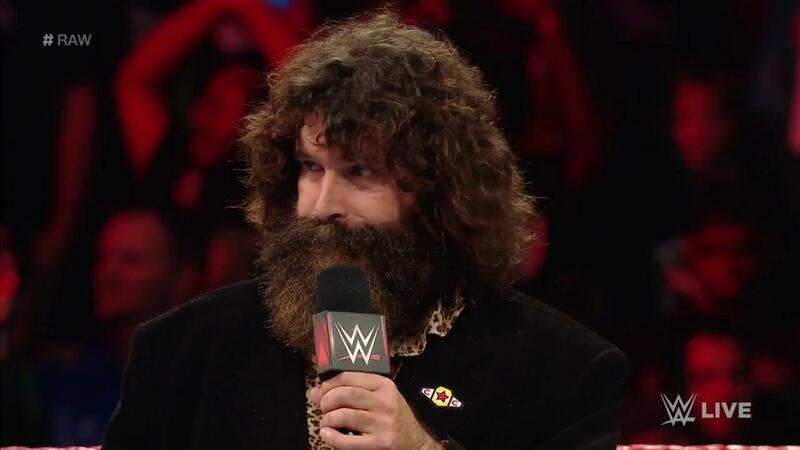 Meanwhile, we still have no idea why Triple H interfered in the Universal Title Match a few weeks ago. Even Reigns brought up Hunter’s absence. Steph did “guess” at his motivations later in the show. But we still don’t have any answers from Triple H. Perhaps those answers will come at Clash of Champions. Seth Rollins vs. Rusev goes to a double count-out. As good as both these guys are, I’ll admit I had this match on mute most of the time. What was at stake? And in the end, they had a non-finish. Again, such a cold, cold start. Braun Strowman def. Sin Cara. Not the match they needed to go with at this stage of the show. Both guys were perfectly serviceable. But again, not much to latch on to between these two. I found myself utterly bored. Sasha Banks & Bayley def. Charlotte & Dana Brooke. It took them almost an hour to give us a match that actually had something going on in it. Though were hardly perfect here. I can only assume they’re still trying to turn Dana Brooke into a babyface. To what end I’m not sure. Not only is she a natural heel, but she’s on a roster with two widely popular female wrestlers like Sasha and Bayley. So…does Dana cost Charlotte the title at Clash of Champions? They made a point to put the title on Sasha several weeks ago. I assume the reason Charlotte won it back was because they didn’t know how long Sasha would be out with her back problems. Perhaps now they simply go back to their original plan with her. Bo Dallas wins another squash match. Just when you thought the show was about to pick up… Ugh. Cesaro def. Sheamus. Their Best of Seven series is now tied at 3-3. I must have rewound my DVR and watched that finish four or five times. Not because it was so spectacular, but because for a moment I thought Sheamus flung himself into an uppercut in the balls. Winning with your feet on the ropes is one thing. An uppercut to the balls? That’s something else. Like most of what we saw tonight, they were just killing time with this stuff. Nothing of consequence at all. 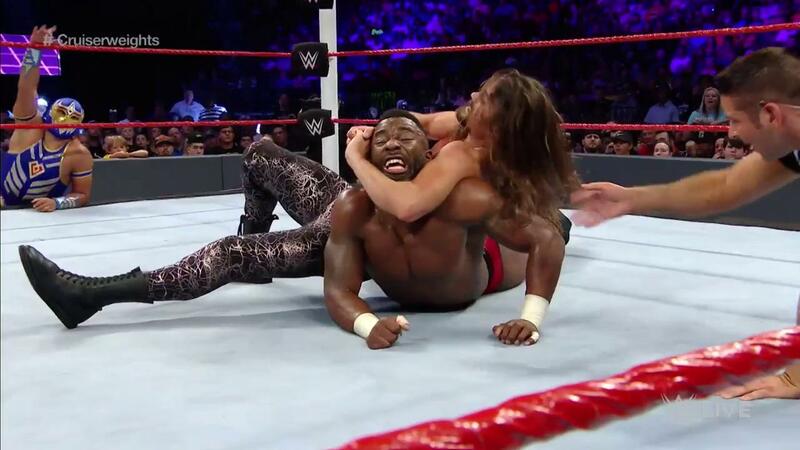 Brian Kendrick def. Cedric Alexander, Gran Metallic and Rich Swann to earn a Cruiserweight Title Match at Clash of Champions. Once these guys started working, it became painfully obvious they should have opened the show. While the majority of what we saw on this show still would have sucked, we wouldn’t have started with a bad taste in our mouths. The entire vibe of the show could have improved. A few weeks ago we saw Titus O’Neil absolutely murder a pre-match scripted promo on live television. While Foley’s time out there wasn’t as bad, like Titus you could see him struggling to remember his lines. Yet another illustration of how over-scripting hinders what we see on Raw every week. The obvious favorite to win the Cruiserweight Classic was Kota Ibushi. But Ibushi opted not to sign with WWE, so he was eliminated by TJ Perkins in the semifinals. Still, the announcers made a point to mention him more than once. So I imagine the door is still open for him. The only part of this match I didn’t like was Rich Swann flipping around the ring for no reason. They tend to call that “showboating.” Neville does the same thing in his matches. It’s overkill. 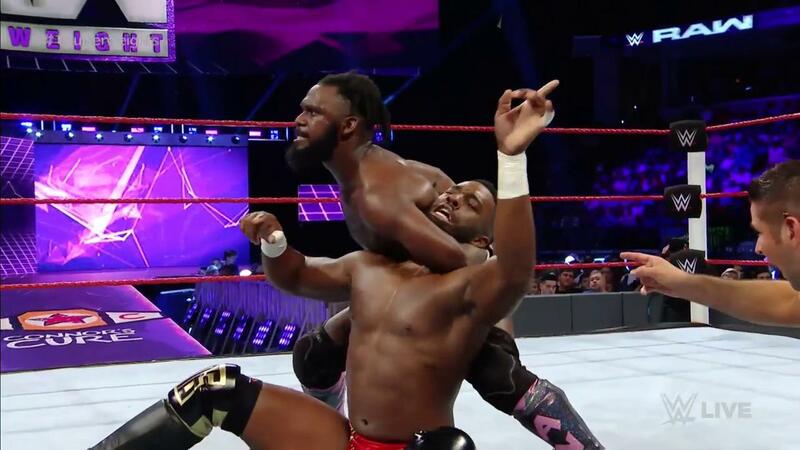 Frankly, I’d have had Cedric Alexander go over in this one. But the story they’re telling with Kendrick is a good one. And for what it’s worth, Kendrick has experience in WWE pay per view matches. All in all, a very good start to the Cruiserweight element on Raw. 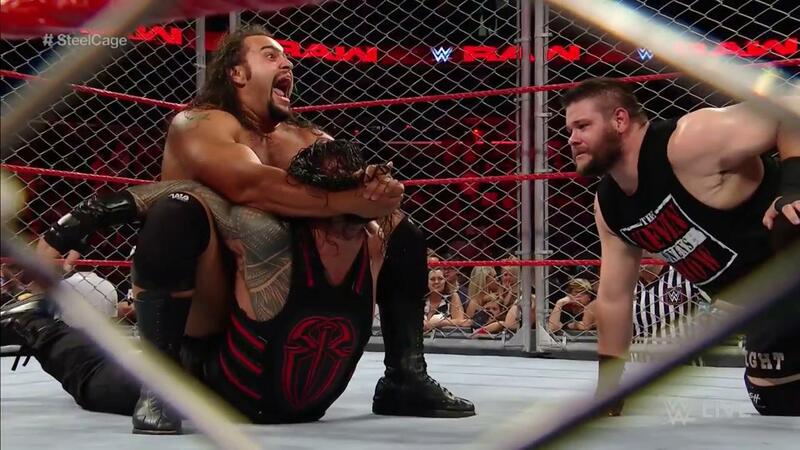 By wrestling standards, I suppose that dive by Rollins off the top of the cage wasn’t incredibly risky. He had both Owens and Rusev to catch him. But after all the injuries we’ve seen this year, and what just happened with Finn Balor, it’s especially unwise to tempt fate these days. This entry was posted in Wrestling and tagged Bayley, Bo Dallas, Braun Strowman, Brian Kendrick, Cedric Alexander, Cesaro, Charlotte Flair, Corey Graves, Dana Brooke, Gran Metalik, Kevin Owens, Kota Ibushi, Mick Foley, Monday Night Football, Primo & Epico, pro wrestling, professional wrestling, Rich Swann, Rob Siebert, Roman Reigns, Rusev, Sasha Banks, Seth Rollins, Sheamus, Sin Cara, The New Day, The Shining Stars (WWE), Titus O'Neil, Triple H, WWE, WWE autumn slump, WWE Cruiserweight Classic, WWE Monday Night Raw, WWE Raw, WWE Raw results on 09/19/2016 by primaryignition.